2016’s Fantastic Beasts and Where to Find Them introduced Harry Potter fans to a whole new concept. The Obscurials unwittingly turn repressed magic into a dangerous force. 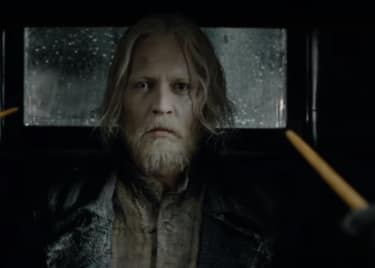 It turned out Grindelwald’s entire motivation in the first film was the desire to acquire an Obscurial, who he clearly believed could tip the balance of power in his favor. Fortunately he was unsuccessful, and the Obscurial named Credence Barebone was believed killed. 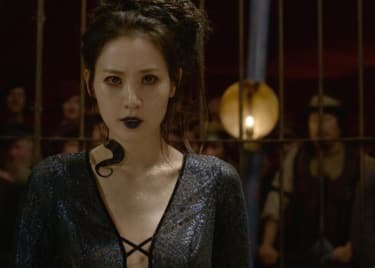 The trailer for the sequel Fantastic Beasts: The Crimes of Grindelwald makes clear that Credence isn’t dead. That means the Obscurials are still in play, and no doubt Grindelwald still seeks to control their power. But what does that mean for the story as a whole? An Obscurial is a witch or wizard who has repressed their magic, usually due to abuse or trauma. The magic builds up within them, becoming what’s known as an Obscurus – “an unstable, uncontrollable dark force that bursts out and attacks, and the vanishes.” The Obscurus tends to erupt at moments of intense emotion, and the most powerful are absolutely terrifying. Most Obscurials don’t survive their tenth birthday. In the past, Obscurials were pretty common. Witches and wizards were feared by the Muggle population, and many were hunted down. The greatest sorcerers had no need to fear. Wendelin the Weird, for example, allowed herself to be caught by witch-hunters no less than 47 times, because she enjoyed the gentle tickling sensation when she was burned at the stake. Magical children, however, were in far greater danger. Muggle-born witches and wizards would grow up inheriting their parents’ fear of magic, and would repress their magical nature. When the magic finally burst out of control as the Obscurus was released, the results would no doubt validate the Muggle fear of magic. The modern Wizarding community has become far more organized, and Obscurials are less common. J.K. Rowling has confirmed that Dumbledore’s sister, Ariana, was an Obscurial. Attacked by Muggles as a child, Ariana repressed her magic, and her brothers desperately attempted to keep her safe. Newt Scamander recovered an Obscurus, using magic to keep it alive after the death of its host. And, most dangerously, Credence Barebone proved to be an unusually old Obscurial. It’s possible this reflects on the scale of his power. Grindelwald seems absolutely fascinated by Obscurials. Researching the Deathly Hallows, he headed to Godric’s Hallow while just a teenager, and there befriended Albus Dumbledore. It’s unlikely to be a coincidence that he became close to the brother of an Obscurial. 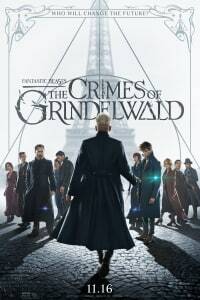 Was there an even darker purpose behind Grindelwald’s friendship with young Albus? Whatever the truth may be, Grindelwald risked everything by entering the United States and hunting down Credence. While Credence was believed killed he evidently survived and has made his way to France. There, the Obscurial’s story will continue. In the Fantastic Beasts sequel, he seems to be hunted down by Newt and Leta Lestrange. One scene in the trailer showed the Lestrange family tree, and indicated Credence is somehow related to the Lestranges. It’s possible Leta’s interest in Credence is as much due to bloodline as dark wizardry; don’t assume that every Lestrange is a villain. There was clearly enough good in Leta for Newt to be attracted to her, after all. The Obscurials are a fascinating addition to the Harry Potter world. Looking to the original books, they suggest that the Dursleys would never have been able to suppress Harry’s magic. Had they been successful, magic would have simply built up within Harry, releasing itself explosively at times of stress or trauma. While Harry himself most certainly wasn’t an Obscurial, the Dursleys unwittingly attempted to turn him into one. Eddie RedmayneJohnny DeppJude LawKatherine WaterstonDavid YatesAdventureFantastic BeastsSequelFantasyWarner Bros.